I would love to see Hat issue AWI sets. I already use your 1/32 7YW Prussians as Hessians (and if you re-issue them, I will purchase more). Continental regulars and especially the elite of Washington's army -- the light infantry -- are always welcome. Thanks to Barzso and A Call to Arms, British grenadiers abound in plastic, but there is a need for more battalion men in cocked hats (who made up 80 percent of the British infantry) and also light infantry (who were just as important as grenadiers in spearheading British operations). Indeed, it would be grand to see a set of British light infantry in the simplified undress uniform they wore from 1777 on -- short roundabout jackets, gaitered trousers, and round hats. Continental and British command sets would also be welcome. Any updates on this Admin? Is this something that could be happening in the near future or is it something being considered but realistically far off? We will definitely take a good look at this once the current sets are through the pipeline. As can be seen from the last new releases, there is a lot to be learned from the new production line and process. Ok, I'll keep imagining what these sets could look like in the mean time. Thanks for the quick reply. While there is lot of awi in 54mm, missing from the range, 71st highlanders, cavalry (Washington's dragoons, 17th dragoons, Tarleton's legion), and Maryland/Delaware infantry with muskets and bayonets wearing hunting shirts, tricorns, breeches, and stockings. 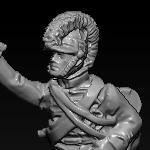 Interesting multiple head options could be lt. infantry cap and highland bonnet. I am happy to see any and all of these proposed sets inching their way toward light of day. I believe one of the great gaps has been regular Continental Infantry in cocked hats. We've had really one nice Revolutionary War figure line over the years, but the majority of the Patriot set leaned more toward militia; the Airfix Washington's Army set IMHO was disappointing - the color bearer dragging the colors alone set this old soldier's teeth on edge even as a youth when I first saw it. I've been using Accurate/Imex British Line painted as Continentals for decades - glad to have some guys designed for the purpose coming. count me in on 1/32 AWI! I would be happy with anything AWI-related long as I can stop daydreaming with your old master pictures, a process that has been going on for years, and have them finally realized. BUT in the way you've dealt with the Napoleonics would be my choice. Let them come piecemeal,but cover all there is with the years. And hey, HäT is American, do yourself some pride and be the 1st on the market to come up with REAL GOOD STUFF IN 1/72. 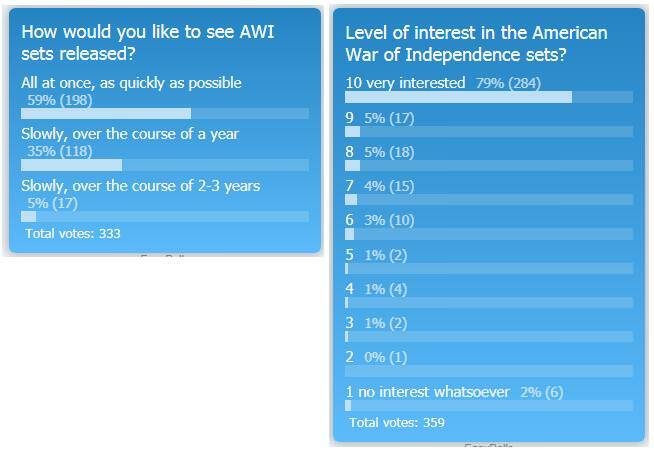 Check out the 28mm market: AWI is booming there,not just Napi all the time. So, $$$$ is waiting! And as you can see from the threads - the customers are ther. And don't forget those 80% customers that sit alone in their hobby room being never active online or anywhere,but these guys also order figures in massive quantities! I just read this news. If hat will produce AWI I will personally order a large amount for my Italian collectors. I am a Italian collectors and seller so I purchased so many barzso awi in the past . Can I suggest to start with the troops the other manufacturer did not produced yet ? So go with Hessian , wagons , redoubts , Artillery , cavalry, loyalist and dragons . Thank you for your attention . 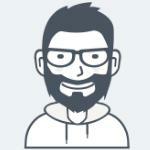 Carlo . Hey Mr HaT admin, haven't heard from you in a while. Any progress in generel as to IF any awi set will be produced at all? All will be answered in good time. These must be made soon, please HaT we have waited enough! It is definitely time that we see some Continental Marines in this scale!!!! Hello all - first post! Agree heartily with many of your points and observations, Gregory. Would love to see the late-war British uniforms and agree we have enough grenadiers for now (even the old Marx set has been re-released). And as you mentioned before, it's high time we get some continental marines. Hessians would also be welcome - Classic Toy Soldiers did a set, but they are greatly lacking in detail. And for the next set of militia, can we please get figures that look like they have wintered at Valley Forge (no shoes, tattered clothes) to go along with the spit-and-polish ones that are available? It would also be great to see some French sets produced. As for poses, why not do a few "camp sets" with figures resting, eating, smoking, etc and have some acessories like cook pots, tents, etc? Now the latest batch has been released are you able to say where the AWI range sits on your to-do list? Are you able to announce what the next projects to be completed are (not asking for release dates-just your intended order). Still hoping these AWI sets are in your thoughts! but it is not time yet to make an announcement because there are still other sets in the pipeline. Would love to see an AWI line. The standard regulars, of course, but units such as Tarleton's cavalry, light infantry, and the First Rhode Island (a largely African-American unit) would be wonderful down the line! I rembember to have seen the masters of Prussian cuirasseurs far 7YW some time ago...very fine sculptures I remember...please, have You notices? I' m very interesting to AIW...I' ve got passion for every historic period...so I dream to see the armies of many other historic periods like the armies of Louis XIV or Marlborough, or Indian mutiny...etc etc.